The Fillmore County Corn Growers, Poet of Preston & Absolute Energy announce new program for Deer Creek Speedway drivers. 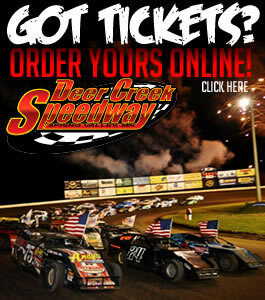 SPRING VALLEY, MN – July 2, 2014: The Fillmore County Corn Growers, Poet Ethanol Plant of Preston and Absolute Energy have teamed up to offer Deer Creek Speedway drivers an exciting opportunity worth $4,000. This great group is extremely excited to see ethanol making its way into the racing world and wanted to offer this program to show their appreciation to the teams and their support of the ethanol industry. The goal of this program is to offer an incentive to help teams cover some of the costs associated to switching over to ethanol. Teams not currently running ethanol still have time to become eligible for the program. There are three items teams need to meet to be eligible. You must utilize at least 50% ethanol during the weeks of Aug. 9, Aug. 16 and Aug. 23. You must compete in at least 2 of the 3 dates listed above. 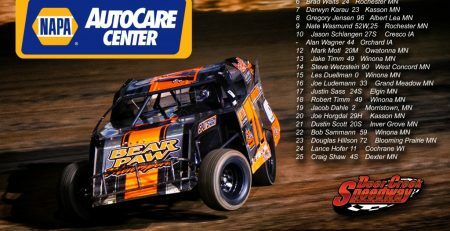 Deer Creek Speedway officials will have a strict tech program in place to ensure teams entered into the program are running the required percentages. The $4000 will be handed out at the 2014 Deer Creek Speedway awards banquet this November in Rochester, MN. Those drivers who qualify for the three items mentioned above will be entered into a drawing and two lucky drivers will take home $500. The remaining $3,000 will be split up evenly among the rest of the eligible drivers.